Paybis Continue to Impress – Huge 50% Discount for High Volume Orders now Available! Bitcoin Press Release: UK-based exchange platform Paybis announce massive 50% discount for high volume orders. Paybis offers top-tier service, with a referral program, debit card purchases and 24/7 live support. 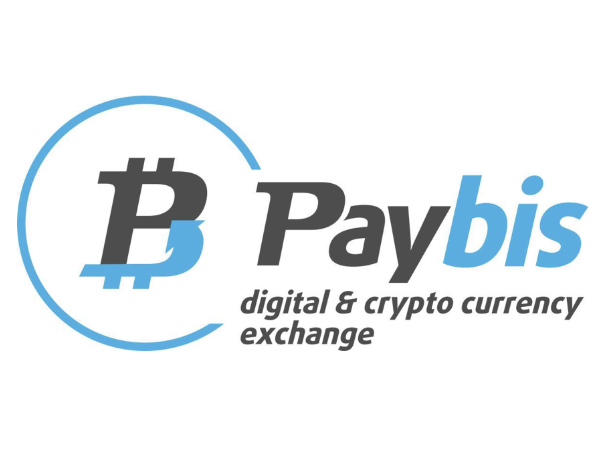 08 May 2018, London, United Kingdom – Paybis.com – a cryptocurrency exchange platform founded in UK in 2014 has recently announced that it is adding options to Buy Bitcoin Cash with Debit or Credit card and to Buy Ethereum with Debit or Credit card in collaboration with Simplex. Now, customers all over the world are able to purchase Bitcoin Cash and Ethereum, the most popular cryptocurrencies in the world, in a fast, secure and hassle-free manner. Paybis.com also recently introduced new discount system that gives users “the more you buy the bigger discount you get”. Paybis.com users who buy bitcoin with debit or credit card can claim as much as 50% discount of the company’s fee, yes you read that right – fifty percent of the initial fee – a huge discount, that beats all other competition around the world. This amazing offer is valid for all credit or debit card purchases of Bitcoin, Litecoin, Bitcoin Cash, Ripple and Ethereum. Paybis.com is now giving its users an option to Buy Bitcoin, Buy Bitcoin Cash, Buy Ethereum, Buy Litecoin as well as lot of other digital currencies and also some notable USA gift cards. Moreover, Paybis services are boosted with their referral program which includes tons of promo materials and amazing 10% revenue share. Paybis.com is an advanced crypto and digital currency exchange platform. Paybis users can take advantage of state-of-the-art user interface and usability as well as low fees and extensive range of choice of other digital currencies. It all comes with a superb 24/7 LIVE customer support service and improved spending limits of $20,000 per transaction and $50,000 per month. Paybis guarantees the maximum approval time of 2 hours, yet the majority of transactions are approved in under 15 minutes. With lot of new features added lately and more coming very soon, Paybis.com gives its users unparalleled client experience and one of the best options whether you are buying or selling. Paybis is the source of this content. Virtual currency is not legal tender, is not backed by the government, and accounts and value balances are not subject to consumer protections. This press release is for informational purposes only. The information does not constitute investment advice or an offer to invest. The post Paybis Continue to Impress – Huge 50% Discount for High Volume Orders now Available! appeared first on Bitcoin PR Buzz.